Indian River Shores Police arrest Vero Beach man on Highway A1A. VERO BEACH – A Vero Beach man was arrested after driving his motorcycle at speeds of 127 mph on Highway AIA in Indian River Shores. 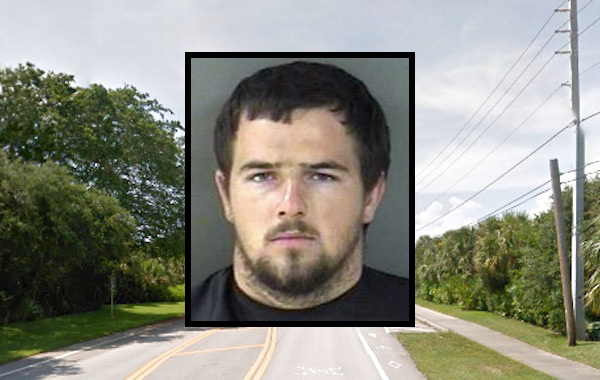 Brandon Lee Williams, 21, was seen by Indian River Shores Police traveling excessive speeds at the 8000 block of Highway AIA. The officer activated his radar unit and measured Williams’ speed at 107 mph in a 50 mph speed zone. When the officer attempted to conduct a traffic stop, Williams sped up to 127 mph in a 50 mph posted speed zone. He continued northbound on Highway A1A and failed to yield or stop. The officer said Williams slowed down “to turn into the south maintenance entrance at Windsor Polo Community,” according to the report. Williams then realized the gate to the entrance was closed, so he drove along the sidewalk for about 100 yards. “Williams then attempted to cross over the grassy area between the sidewalk and the roadway,” the report said. The Vero Beach motorcyclist then lost traction. Williams was arrested and transported to the Indian River County Jail where he was charged with Felony Flee & Elude, and Misdemeanor No Motorcycle Endorsement. Other charges may be pending. Bond set at $5,000.